You can now find past Health and Fitness News diaries /tag/Health%20and%20Fitness%20News here and on the right hand side of the Front Page. Over the years I have given you a number of Recipes for Health devoted to smoothies – fruit smoothies with nuts and seeds; smoothies with vegetables; dairy free smoothies. I thought I had pretty much covered all the smoothie bases. Then I came across a recipe for a “Fresh Peach, Banana and Warm Millet Smoothie” in Bryant Terry’s impressive new cookbook “Afro-Vegan,” and a bell went off. Cooked millet in a smoothie? I had never seen such a thing; yet breakfast is a great meal for cooked grains, and also for smoothies. 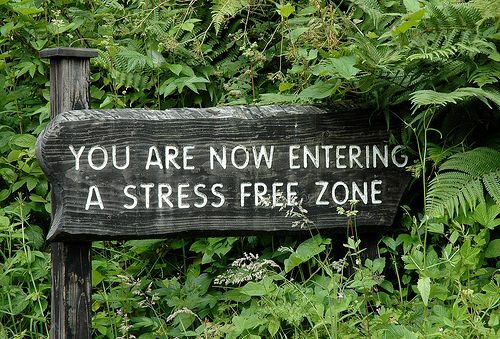 So why not? Adding cooked grains to smoothies would be a perfect way to thicken the drinks and bulk them up. It’s also a delicious way to incorporate more grains into your diet. 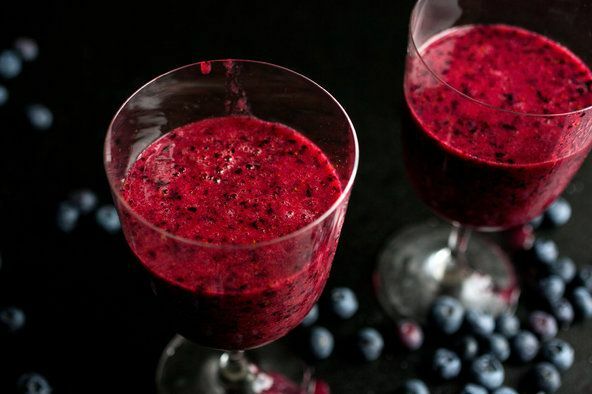 A delicious smoothie that works with berries that are fresh or frozen. A nourishing mix of fruit, grains and nuts in a glass. Red grapes and red quinoa are a perfect match in this sweet/tannic smoothie. A date shake with a grainy twist. The pure flavor of pineapple is softened by the millet in this delicious drink. One of our favorite pundits here at TSHG, Danny Schechter passed away Thursday after a battle with pancreatic cancer. His activism and truly liberal voice for social justice will be missed. We extend our deepest condolences to his family and his friends. March 30, 2014. Where are you, Temptations, when I need you most? The month of May is here and will soon be gone, with a May winter every other day here in New York following every occasional outbreak of seasonal warmth. We know the planet is warming, but I have yet to feel it with any regularity in my neighborhood. Worse that that, the cold outside is not just the zigzagging temperatures, but the sense that we are stuck in a political Ice Age where change of the kind that we will soon be discussing, again and again, ad finitem, at yet another Left forum is more remote than ever. While the Left talks, the Right mobilizes, certainly in Europe, save austerity-devastated Greece. Here, the Tea Party wing nuts have all but conquered the Repugs, bolstered by new court rulings that allow their funders to buy what’s still on sale in our political oligarchy in this Republic of Fear. But “right-to-work” laws – that half of all states in America fall under – do diddly squat to fix a minimum wage law that provides workers with less than a living wage. The misleadingly named law has nothing to do with any increased access to employment: it really only gives people the “right” to work in increasingly non-unionized, low-wage, split-shift jobs that may require hours of uncompensated time. Too often neglected in this Beltway brawl is the budget alternative offered by the Congressional Progressive Caucus. The fifth annual CPC alternative – “The People’s Budget: A Raise for America” – is about as close to common sense as Congress gets. And it is honest: Its numbers are carefully laid out and add up. It actually says what it would invest in and how it would pay for it. President Barack Obama and the Republicans in Congress are united. Yes, that’s right. No, not on Obamacare, or on the budget, or on negotiations with Iran, or on equal pay for women. But on so-called free-trade agreements, which increase corporate power and reduce the power of people to govern themselves democratically, Obama and the Republicans stand shoulder to shoulder. This has put the president at loggerheads with his strongest congressional allies, the progressive Democrats, who oppose the TPP, or the Trans-Pacific Partnership, one of the most far-reaching trade agreements in history. TPP will set rules governing more than 40 percent of the world’s economy. Obama has been negotiating in secret, and the Democrats are not happy. The battle lines are being drawn over the TPP and TPA. If you are confused, well, that is exactly what many of the most powerful corporations in the U.S., and around the world, are counting on. Trade policy is arcane, complex and long the domain of economists and technocrats. But the real-world implications of these dry texts are profound. President Obama wants to pass the TPP, which is a broad trade agreement between the U.S. and 11 other countries in the Pacific Rim: Australia, Brunei, Canada, Chile, Japan, Malaysia, Mexico, New Zealand, Peru, Singapore and Vietnam. In order to expedite the process, President Obama is seeking the second acronym, TPA, or Trade Promotion Authority, also called “fast-track.” Fast-track gives the president authority to negotiate a trade deal, and to then present it to Congress for a yes-or-no vote, with no amendments allowed. A growing coalition is organizing to oppose TPP and the president’s request for fast-track. The outcome of this conflict will reverberate globally for generations to come. Expecting morally serious debate from any would-be Republican presidential contender is like waiting for a check from a deadbeat. It could arrive someday, but don’t count on it. Certainly it is true that the Saudi monarchy inflicts special oppressions on its female subjects. But before examining how that should influence the policies of a charitable foundation-and a former president or secretary of state-it is worth considering the feminist credentials of Rand Paul and his fellow Republicans. Dr. Bravo, as he’s dubbed in a recent legal document, is an Iraqi doctor living Baghdad. In 2009 he began working with a US government contractor to provide medical care to American soldiers and other staff at Camp Dublin, a military base near the Iraqi capital. Later that year, he found a note on his door. Its anonymous author called him a “traitor” and threatened to kill his wife. he situation for Iraqis with ties to the US (and for those without) has only grown more dire in the past year as the Islamic State in Iraq and al-Sham swept through Iraqi cities and cut off refugee routes to Kurdistan and neighboring countries, as George Packer has described. “Evidence of any US affiliation is so dangerous that destroying it in the event of an Islamic State occupation is key to survival,” the lawsuit contends. It goes on to note that ISIS is not the only threat to Iraqi allies, citing increased activity by anti-American militias. Well, it’s slowed down considerable. Almost possible to watch every game if you want to. Still goes all day and all of the night. I think this will all fit. Despite what you hear, the round of 64 has not been good for upsets. Only 5 of 32. On this day in 1804, the Napoleonic Code approved in France. In 1800, General Napoleon Bonaparte, as the new dictator of France, began the arduous task of revising France’s outdated and muddled legal system. He established a special commission, led by J.J. Cambaceres, which met more than 80 times to discuss the revolutionary legal revisions, and Napoleon presided over nearly half of these sessions. In March 1804, the Napoleonic Code was finally approved. 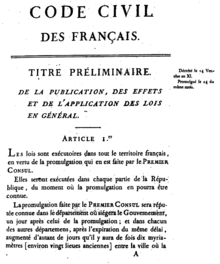 The Napoleonic Code, or Code Napoléon (originally, the Code civil des Français), is the French civil code, established under Napoléon I in 1804. The code forbade privileges based on birth, allowed freedom of religion, and specified that government jobs go to the most qualified. It was drafted rapidly by a commission of four eminent jurists and entered into force on March 21, 1804. The Napoleonic Code was not the first legal code to be established in a European country with a civil legal system, it was preceded by the Codex Maximilianeus bavaricus civilis (Bavaria, 1756), the Allgemeines Landrecht (Prussia, 1794) and the West Galician Code, (Galicia, then part of Austria, 1797). It was, however, the first modern legal code to be adopted with a pan-European scope and it strongly influenced the law of many of the countries formed during and after the Napoleonic Wars. The Code, with its stress on clearly written and accessible law, was a major step in replacing the previous patchwork of feudal laws. Historian Robert Holtman regards it as one of the few documents that have influenced the whole world. The preliminary article of the Code established certain important provisions regarding the rule of law. Laws could be applied only if they had been duly promulgated, and only if they had been published officially (including provisions for publishing delays, given the means of communication available at the time); thus no secret laws were authorized. It prohibited ex post facto laws (i.e., laws that apply to events that occurred before them). The code also prohibited judges from refusing justice on grounds of insufficiency of the law-therefore encouraging them to interpret the law. On the other hand, it prohibited judges from passing general judgments of a legislative value (see above). With regard to family, the Code established the supremacy of the husband with respect to the wife and children; this was the general legal situation in Europe at the time. It did, however, allow divorce on liberal basis compared to other European countries, including divorce by mutual consent. Dr. Martlin Luther King, Jr. begins march from Selma to Montgomery, Alabama; Sharkville massacre in South Africa; Bach born. Ok, so what you have to remember when you look at this schedule is that ESPN is is Headquartered in Bristol CONNECTICUT, just before Otis Elevator (their test facility is about the highest building in the state outside of Hartford and sticks up from the rolling bucolic hills like a gigantic middle finger) within spitting distance of Lake Compounce (the oldest kind of sort of continuously operated amusement Park in the country). You can tell it’s ESPN because they have this forest of satellite dishes in the front yard. Anyway, they’re HUGE Lady Husky fans so it’s no wonder they get a Prime Time slot all to themselves, even if it’s only ESPN2, the channel for people addicted to sports nobody watches.